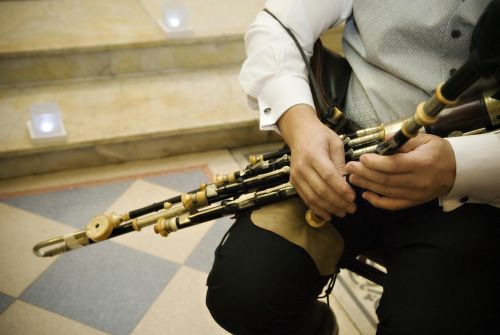 Are you looking for a Uillean piper in Galway or elsewhere in Ireland? 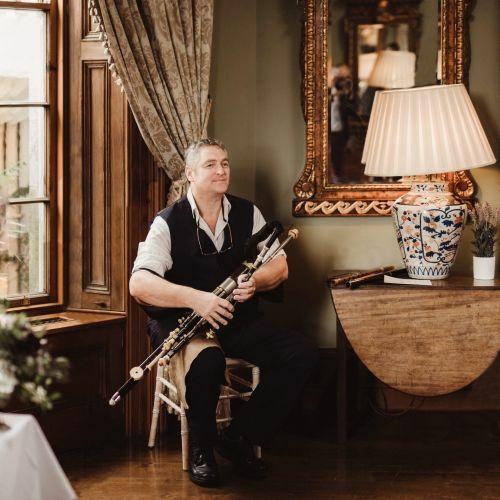 For the ultimate rich, evocative and thoroughly enjoyable musical soundtrack to your wedding and/or champagne reception, you can’t go wrong with this wonderful Irish Uillean Piper. 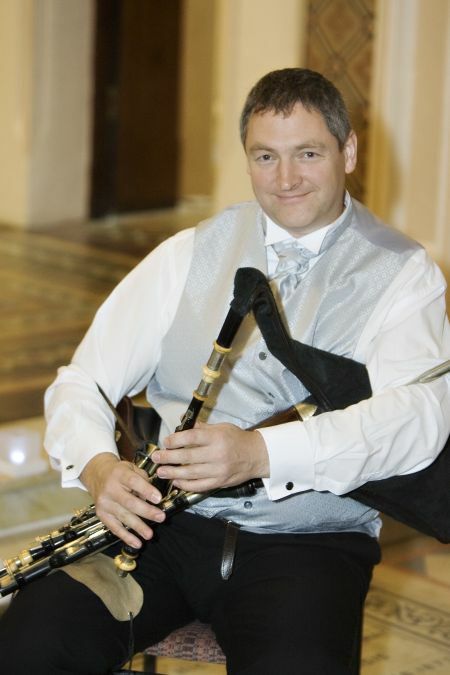 He can also play flutes and whistles. 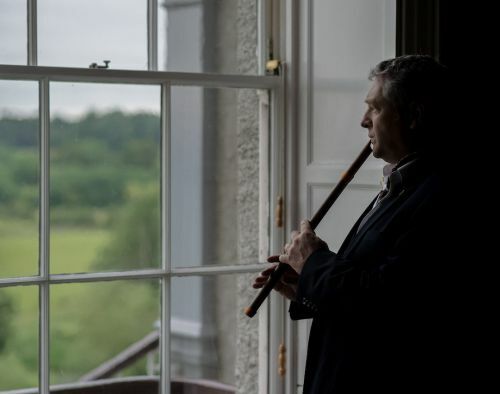 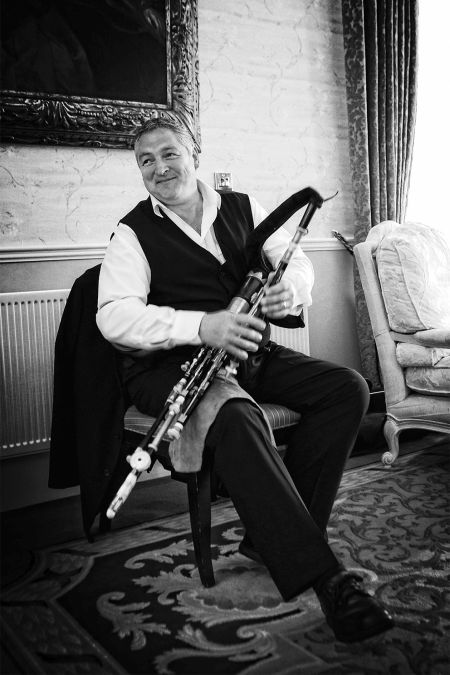 This versatile Uillean piper from Galway can play a combination of pipes with meltingly beautiful and evocative whistles and flutes and has an exquisite and varied repertoire of old luscious traditional pieces mixed with modern classics he will warm the hearts of your guests. 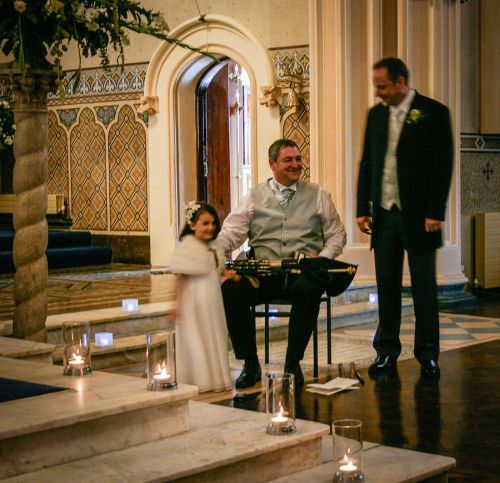 A great communicator with a good sense of humour, one of his signature tricks is to put the anxious groom at his ease while nervously waiting for the arrival of his bride-to-be. 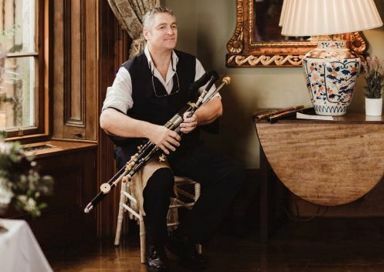 During the less-formal Champagne Reception, he is usually to be found with a group of interested guests pumping him for information about his instruments.